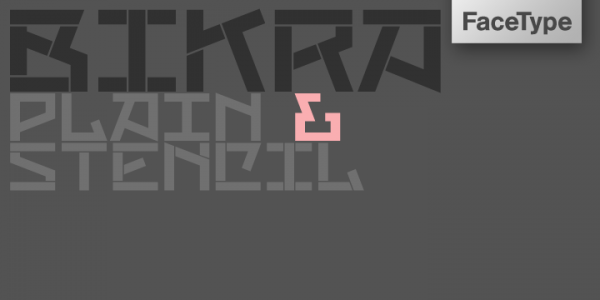 Bikra Plain and Bikra Stencil are striking yet very unusual fonts. These are also very tough and curve-less fonts. The unique bizarre element in the font that gives it a distinct look makes it ideal for t-shirts, logos and magazines designs.